tires kicking up gravel from the dust. To read this collection is to discover at every turn that secretive but undeniable radiance, and a language that is both riveting and distinctive. 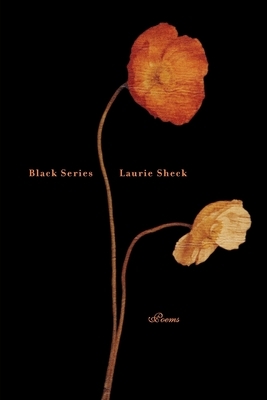 Laurie Sheck is the author of three previous books of poetry, the most recent of which, The Willow Grove, was a finalist for the Pulitzer Prize. Her work appears widely in such journals and magazines as The New Yorker, The Kenyon Review and Boston Review. The recipient of fellowships from the Guggenheim Foundation, the National Endowment for the Arts and the Ingram Merrill Foundation, among other institutions, Sheck has been a member of the creative writing faculty at Princeton University and currently teaches in the M.F.A. program at the New School. She lives in New York City. "Rarely, if ever, has the contemporary lyric been both so pure and so informed with varieties of experience; the historical and the mythic and the utterly everyday; crack addicts and Medusa and Goya, carpenter bees and graffiti, the blur of a xerox and the evocativeness of cave paintings; all conveyed with a startling precision of perception and reflection and locution. This is fine work, both delicate and bold." "An illuminated insight and wit highlight the deep-seeing of Laurie Sheck's Black Series. This is a seeing into things that is musical, a taking apart and putting-back-together that cast the human eye as godlike--almost Emersonian. What we think we know is imagistically probed till it reveals something we didn't know. In this sense, the poems in Sheck's wonderful book are "spies of light": they disrobe our senses so that each of us is Goya's apprentice, honing our skills to see in the dark. Here nothing is borrowed; each poem's imagery is direct, seldom beyond us, yet always challenging. We can all savor Black Series, an exhibition of lyrical surprises." "Laurie Sheck is a modern shaman, a storyteller who knows that the best stories are not those that merely entertain but those that accompany us long after their telling . . . Just as in ancient worlds myths offered the templates for negotiating a safe path through terrors natural and Olympian, Laurie Sheck's poems find embodiments for the maladies of the new millennium: anxiety and the terror of affluence, alienation in the midst of commerce, and the illusion of Free Will in the Free World. Imagine being plopped down in this civilization without prior knowledge of it; imagine having to map your way without any clues but those the mysterious person guarding the city gates chooses to give out. 'Listen carefully,' she whispers; and you do, because your life depends on it."